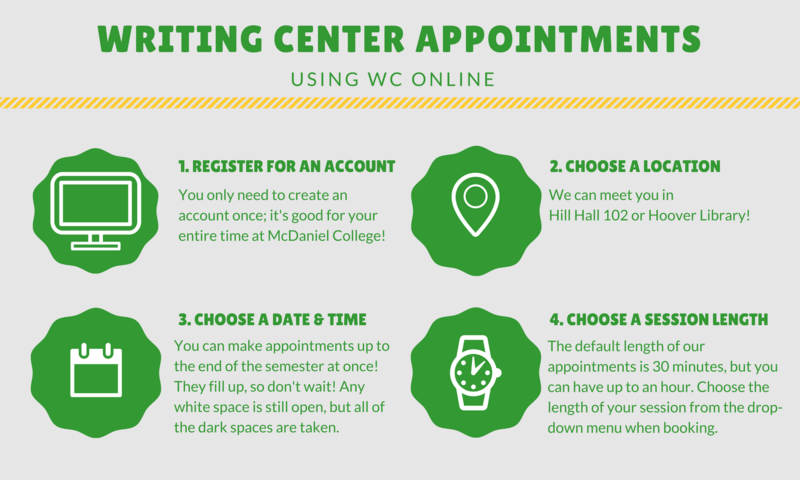 The McDaniel College Writing Center empowers students of diverse abilities and backgrounds to claim ownership of the identity of “writer” and supports a vibrant community of writers. 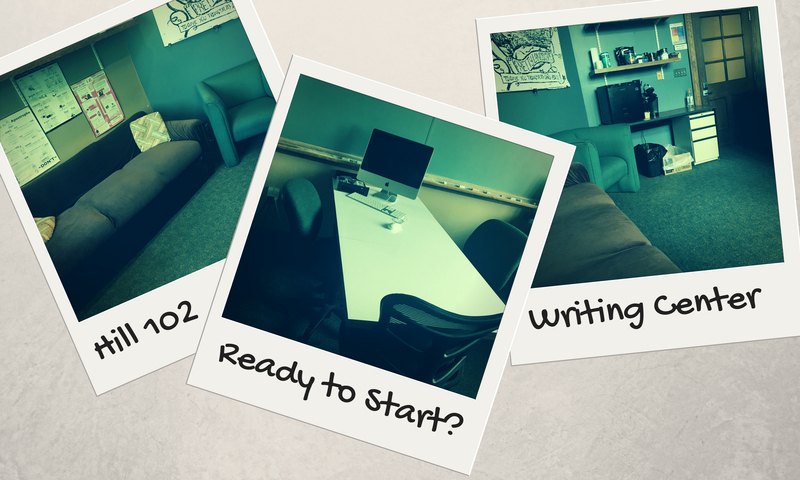 At McDaniel College Writing Center, we positively support students at every step of the writing process. As students ourselves, we bring our own experiences of the writer’s journey to those we serve. 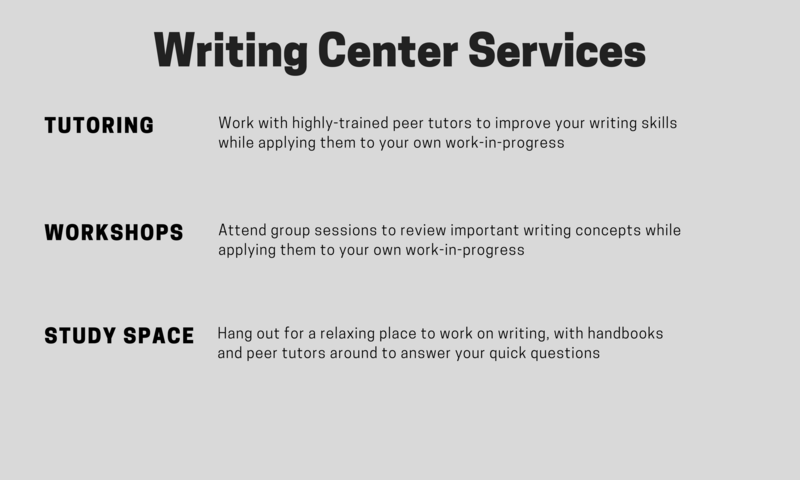 We meet the particular needs of everyone who comes to the Writing Center, assisting those students in discovering the critical thinking and writing skills they already possess, helping them hone these skills, and guiding them to produce writing they enjoy creating and are comfortable sharing. Citation Week is BACK! Come learn about every step of the research process at workshops held all week. Learn more at our Events page!